IN LIFE he was big, ugly and full of attitude — no wonder scientists chose to name the ferocious Jurassic crocodile after Lemmy. Like the hell-raising Motorhead frontman who died in 2015, the 19ft (5.8m) long beast dubbed Lemmysuchus was no stranger to trouble. The monster that terrorised coastal waters around the UK more than 145 million years ago had a skull measuring just over a metre and large, blunt teeth perfect for crushing bones and turtle shells. A fossil skeleton of one of the creatures was dug up in a clay pit near Peterborough in 1909 and then housed at London’s Natural History Museum. After conducting a recent study of the specimen, University of Edinburgh palaeontologist Michela Johnson realised it had been wrongly classified and needed a new scientific name. The suggestion to honour heavy metal bass player Lemmy came from Natural History Museum curator and Motorhead fan Lorna Steel. 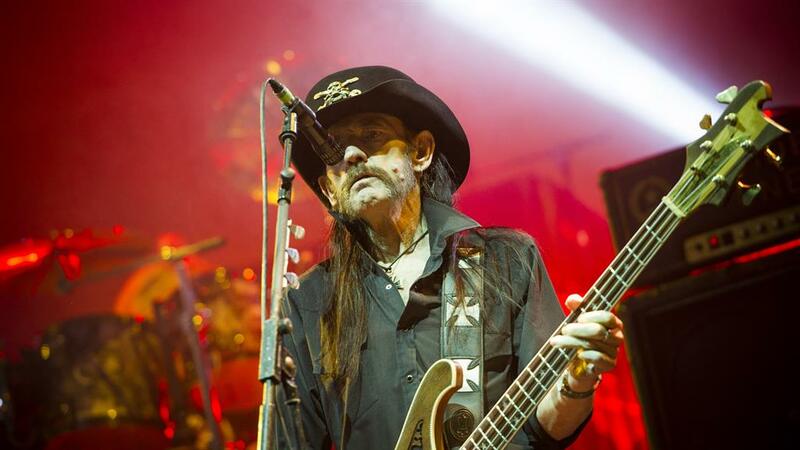 She said: ‘Although Lemmy passed away at the end of 2015, we’d like to think that he would have raised a glass to Lemmysuchus, one of the nastiest sea creatures to have ever inhabited the Earth. 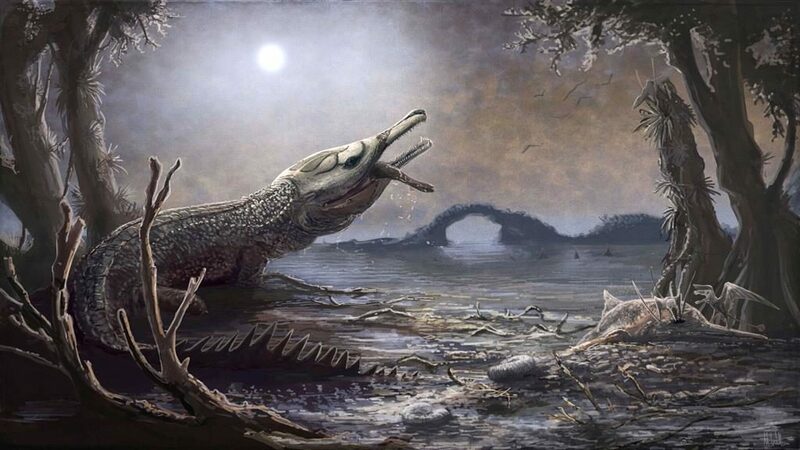 Lemmysuchus belonged to an extinct group of reptiles called teleosaurs, which were distantly related to today’s crocodiles. It would have been one of the largest coastal predators of its time. Ms Johnson, a PhD student, said: ‘It can be difficult to identify new species as we are normally working with incomplete fossil skeletons. The new description of Lemmysuchus, which translates as ‘Lemmy’s crocodile’, appears in the Zoological Journal of the Linnean Society.